I love love love Easter! For the last two years we have been moving on Easter. Ugh.. talk about annoying. It just really puts a damper on my festivity planning. Well, I guess I can still plan right? 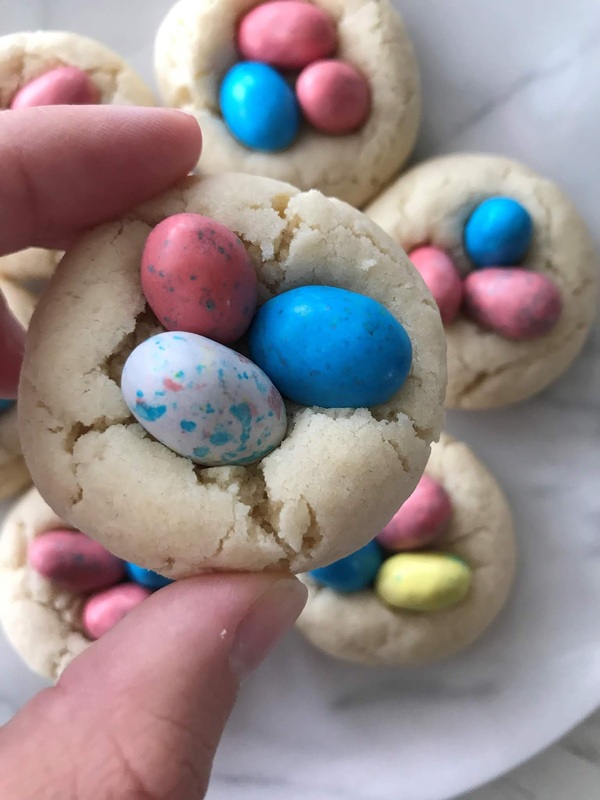 Here's my dream Easter Sunday all wrapped up in one post! Brunch is a must! Am I right? We are talking all the things, drinks, appetizers, cake... all of it! Let's start with the cocktail because why not! 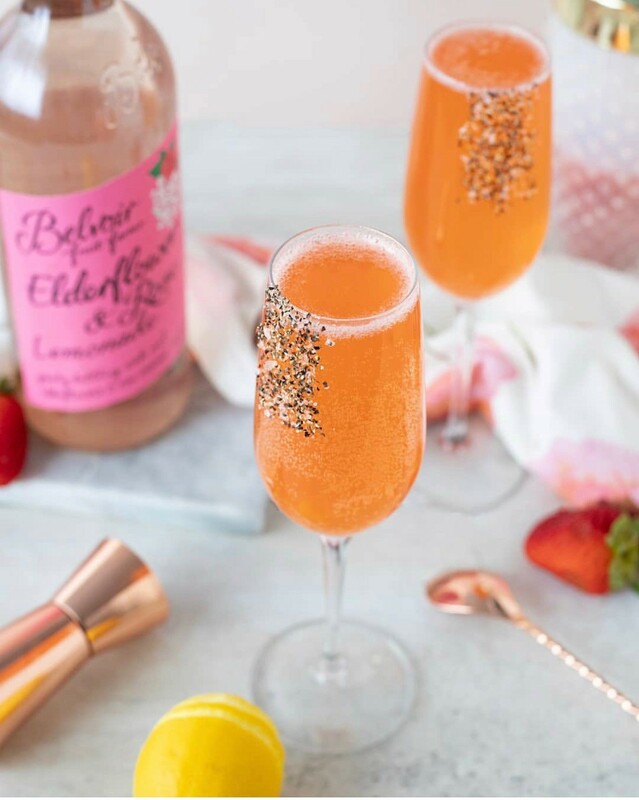 This Spring Seasoned cocktail by @elle_talk screams spring time! Hello Elderflower, Rose and Black Pepper. I'll take two! As you know, apps are my jam! 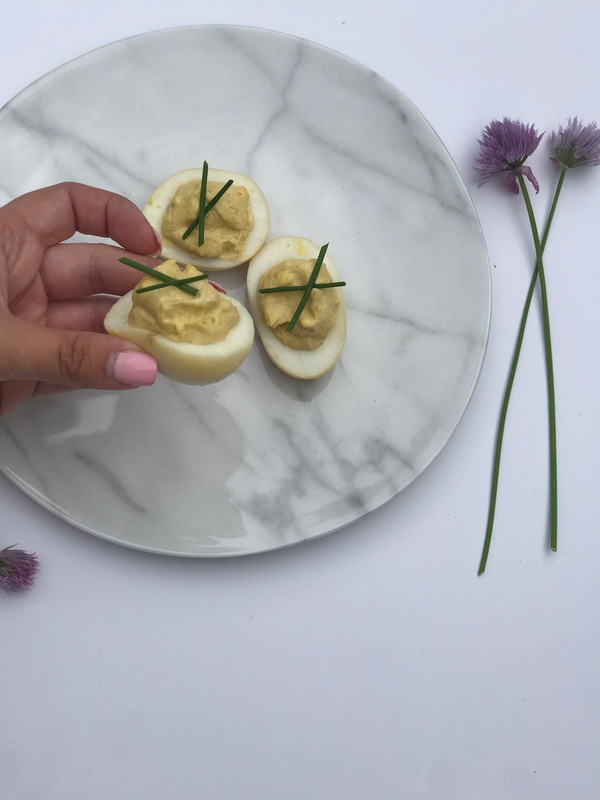 I live for a good appetizer and to be honest I just cant get over these Treager Smoked Deviled Eggs. Sprinkle on a little everything but the bagel spice and call it a meal. 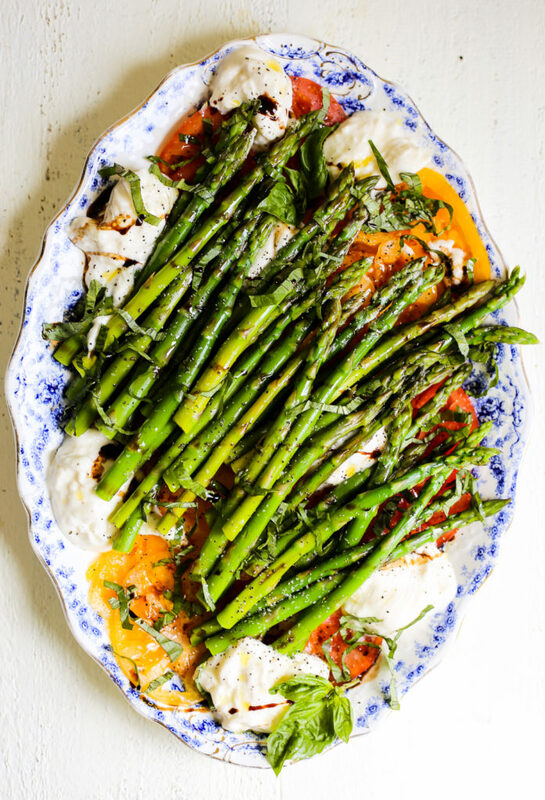 @thedefined dish just took Caprese Salad to a whole new level by adding asparagus and burrata. I think we have all died and gone to heaven. This woman is a goddess in the kitchen and this salad proves it! Brunch wouldn't be brunch without cake! 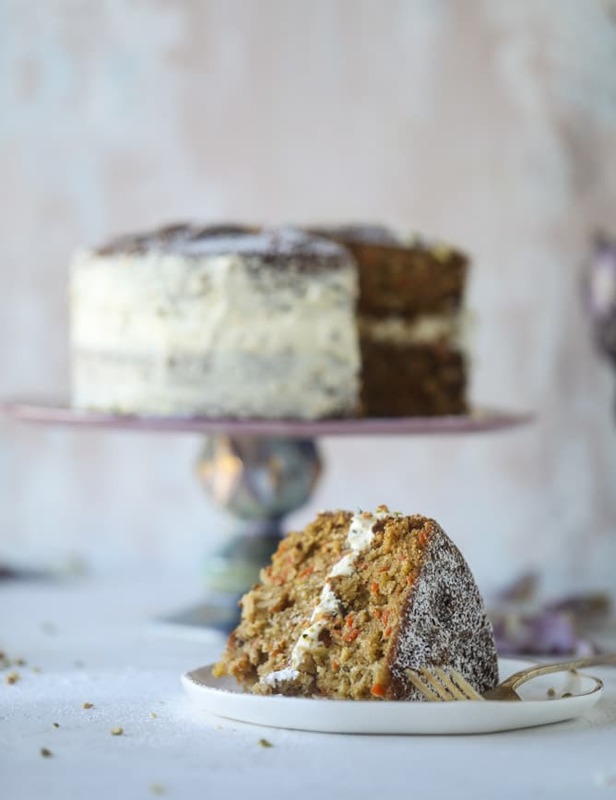 @howsweeteats speaks to my soul with this Pistachio Carrot Cake. Its the perfect marriage of flavors and I'm here for it. Now get to cooking and we'll talk later! Holy cow! Life feels like it is fast forward right now. Being a full time working mom has kicked my booty. Everyday is a struggle to keep up with household tasks and it seems like feeding myself is last on the priority list some days. Quick, healthy, and filling snacks are an absolute must right now. 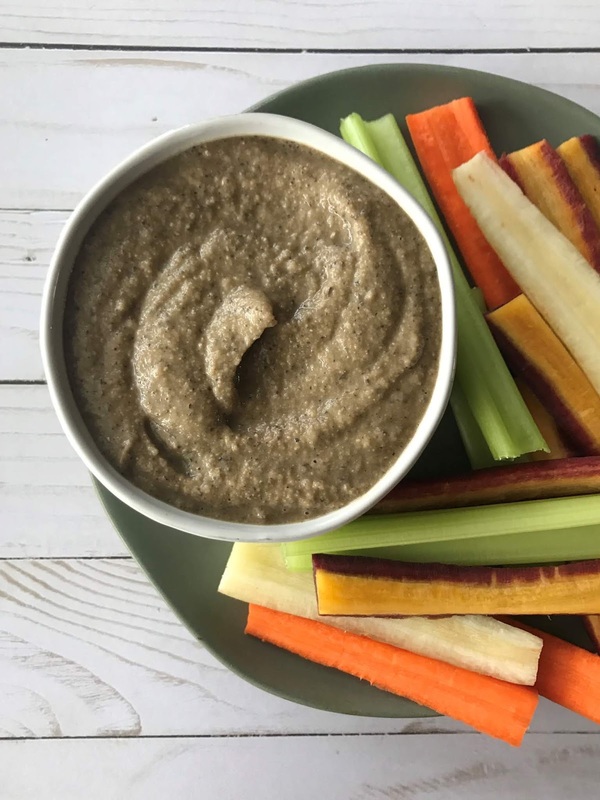 This black olive hummus is satisfying in every possible way. 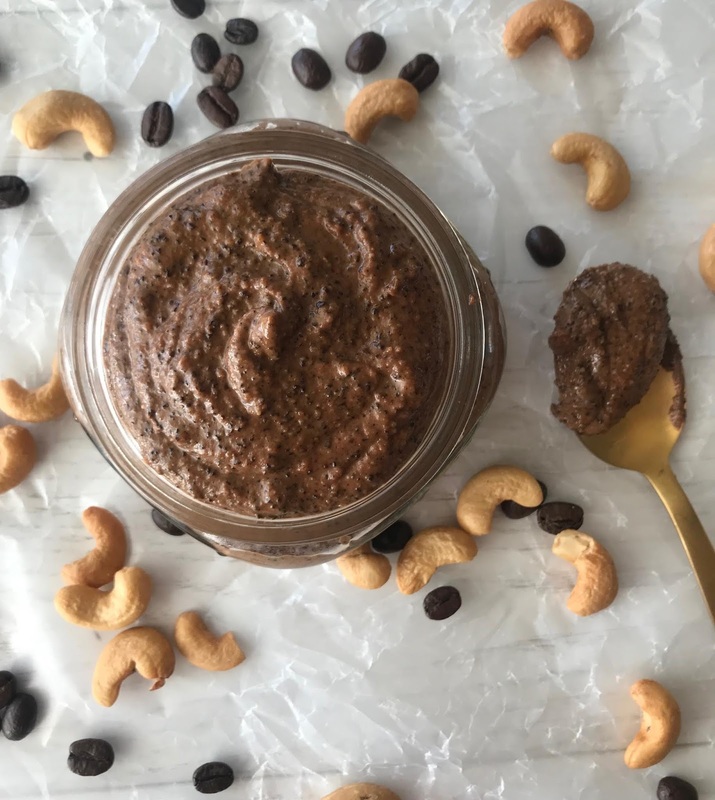 There are few things that make me more happy than a delicious creamy cashew butter and coffee! Hence why I had to marry the two. 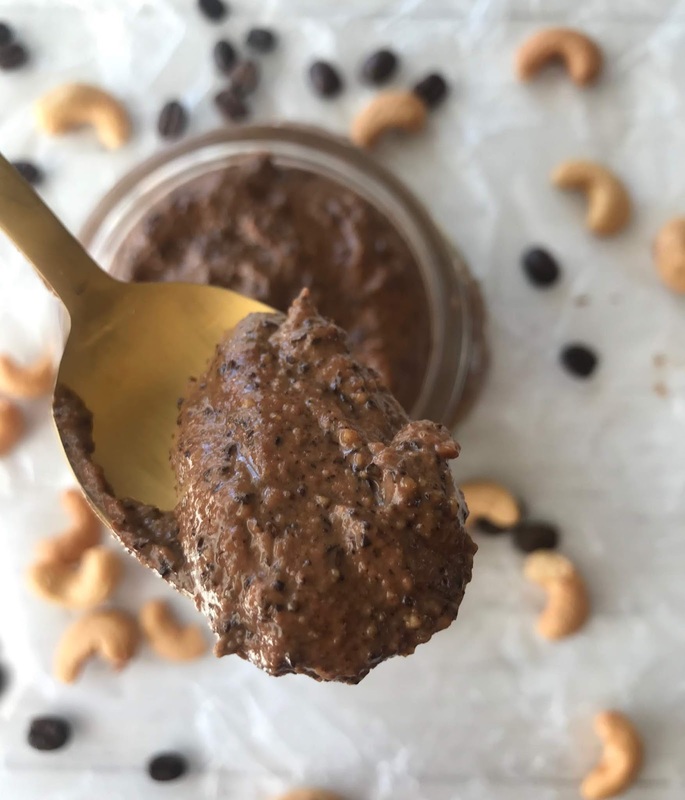 This Mocha Cashew Butter is so simple to make and is as decadent as any dessert but so healthy! Win/win in my book! So what are we waiting for? Lets make it! Add all ingredients to the food processor and blend until smooth!